On the back of the Welsh victory in the Tour de France Cyclone24 partnered with Brewin Dolphin & Darwin Gray for the Tour de Caerdydd. 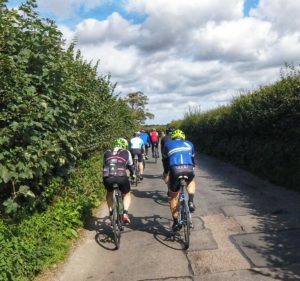 Friday 7th September saw the Cyclone24 team ride lead on this corporate event which consisted of two rides leaving Cardiff and heading across and around the Vale of Glamorgan. A joint event organised with Brewin Wales and Darwin Gray, cyclists from various Cardiff based businesses joined us as we set off from Promixx on Penarth Road. After welcome refreshments and briefing, the first group headed out of Cardiff bound for the Glamorgan Heritage Coastline with group two leaving shortly afterwards on a more challenging route. 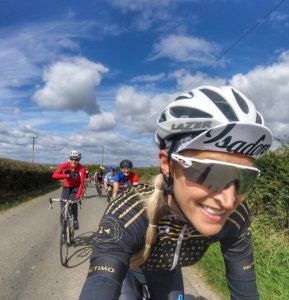 Heading out towards Llamgeinor, Blackwell and Taff Ely wind farm, to take on some tough climbs, on a route favoured by Nicole Cooke. 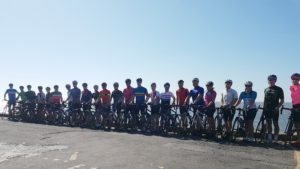 Both groups had a welcome pit stop at Llantwit Major, at the wonderful Café Velo. 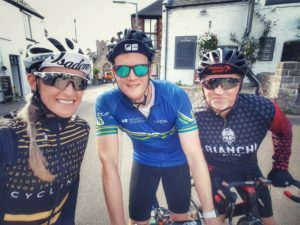 A particular favourite of the Cyclone24 team, Café Velo is a regular bolt hole for cyclists from all over Wales who use the café for a well earned break from the saddle and a must stop location on weekend rides. With delicious coffee and cakes to die for, plus locks for your bikes and spares if you need them, what’s not to like! From here it was a short cycle back to Cardiff and back to Promixx where we were joined by Clinical Dietitian Victoria Prendiville and Chartered Physiotherapist Richard Day for a post-ride discussion on optimum nutrition, supplementation, getting the most of your performance and pain management, whilst tucking into some well-earned food and sampling the Promixx goods! 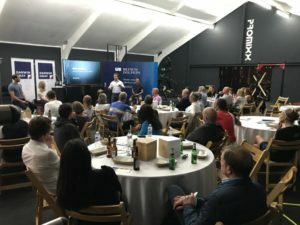 Cyclone24 would like to thank Brewin Dolphin, Darwin Gray, and Promixx, Geraint Hampson-Jones, Owen John and Belinda Houghton-Jones in the organisation of this event, along with all our guests for joining us on the day.